CIS Vancouver artists won two Visual Effects Society (VES) Awards for their work on Clint Eastwood’s "Changeling", a Universal Pictures release, @ the 7th Annual VES Awards gala, February 21 in Los Angeles. The annual event recognized outstanding visual effects in over a dozen categories of film, animation, television, commercials and video games. The CIS Vancouver team, winning 'Outstanding Supporting Visual Effects in a Motion Picture' for "Changeling" are Geoffrey Hancock, Visual Effects Supervisor, Jinnie Pak, Visual Effects Producer and Dennis Hoffman, Head of Production. They shared their prize with Michael Owens, Visual Effects Supervisor for Eastwood’s Malpaso Productions. "It is very gratifying to have the VES recognize CIS's work on this film as these types of invisible effects often go unnoticed," said Hancock. 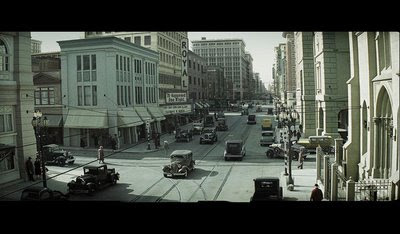 A CIS Vancouver team also won for 'Outstanding Matte Paintings in a Feature Motion Picture' for the 1928 downtown LA sequence in "Changeling". Winners awarded were Romain Bayle, Art Director, Abel Milanes, Compositor, Allan Lee, Compositor and Debora Dunphy, Composite Supervisor. "...the toughest eyes to please are those of your peers, so it is truly an honour and a privilege to be recognized by those who understand and appreciate the passion and pain that can find its way into each and every frame of a VFX shot," said Dunphy. CIS Vancouver’s work on the film enhanced the look and feel of Los Angeles in 1928 creating 3D set extensions of cars, trucks, trains and street furniture, in addition to digital crowds. The artists created the end credit sequence of a busy downtown street, involving live action extras that turn into all-digital extras, cars driving by and streetcars running up and down tracks. Also contributing to "Changeling" was the work of Pacific Title and Six Foot Duck. CIS Visual Effects Group is an award winning international visual effects entity with facilities in Hollywood and Vancouver, servicing high-end feature film, television, commercial and gaming clients in the global marketplace. 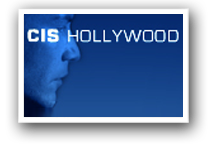 CIS Hollywood, founded in 1984 offering visual effects facilities expanded in 2008 with the acquisition of Vancouver's Rainmaker Visual Effects, rebranding it 'CIS Vancouver'.